How many times you have driven past something in your area and said "I so want to do that" or "I really want to go there"? Man I have lost count of the amount of times I have driven past this little antiques store near where I live. It has been there since I was a kid and I have yet to actually go inside. I have also driven over the Spit Bridge at Mosman and said to my husband like eleventyzillion times "One day we should actually go out on the harbour and pretend we like adventurers or something" and yet until last week we have never actually done it. Part of my promise I made to myself on my 40th birthday, is that I WILL go and do the things I have only ever talked about doing instead of just saying “one day”. And so last weekend I crossed another thing off my bucket list when I took my family and my bloggy buddy Danni and her beautiful family who were visiting us, to road test one of the MasterCard Priceless Sydney Offers and see one of our locally famous sites. 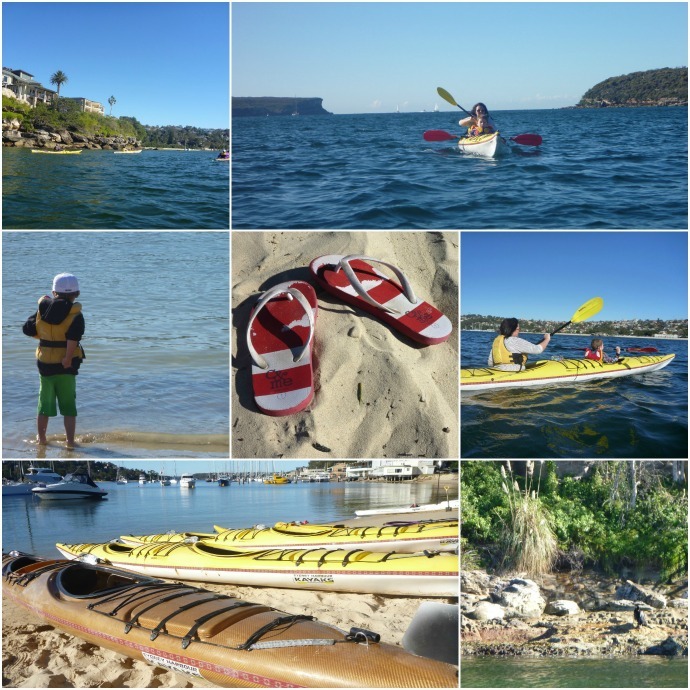 We were adventurers on Sydney Harbour with Sydney HarbourKayaks. 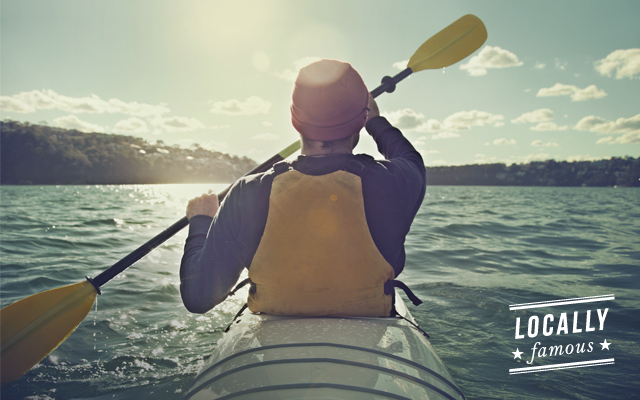 You so do NOT need to be sporty to go kayaking. Come on - I did it! There is a maximum of 6 spots on this private tour, so it is perfect for a romantic luvvers date, an adventure with friends, or a family activity where you can take your kids with you without worrying about their habit of um slowing things down a little. Sarah was our gorgeous guide for the morning and if her bubbly and fun persona wasn't enough to make me really REALLY like her, the fact that she like me, recently turned her back on the Corporate world to beginning living her dream, was enough to seal the deal. After a quick rundown of safety instructions, we pulled up our anchors and set sail. Yeah OK I know that sounds soooo wrong, because Kayaks don't have anchors and they don't actually sail either, but I have no idea what the correct terminology is. I'm just a punter who was excited to get out there and do something I have ALWAYS wanted to do. We cruised around the open waters only stopping once at a little beach for some hot coffee and to refuel with something to eat. nearly taking our heads off, whilst us grown ups did all the actual yakka. But seriously, I did not care an iota. I was out on one of the most beautiful harbours in the world, on a gorgeous day with the sea spray tingling my nose and a local seal that swam alongside us for a while. I was loving every . single . minute. And so I have hard indisputable evidence that I, Sonia the biggest klutz ever, actually kayaked around Sydney Harbour without falling in, I made a special video here. Please don't laugh at my unco paddling Ok? MasterCard knows that there are some places and experience around Sydney that are famous to the locals, and so they have introduced the Priceless Sydney Program that brings you a whole host of exclusive dining, entertainment, retail, sports and hotel offers so that you can experience them for yourself, or show them off to visiting friends like we did. You can register here to find out more about MasterCard Priceless Sydney and their exclusive Locally Famous Offers. 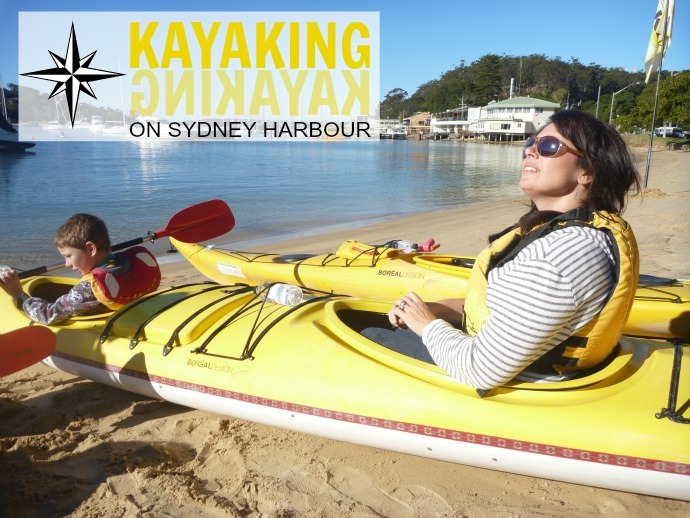 If you too are keen to get out there and enjoy our beautiful harbour from a different perspective and want to take advantage of the special price on a guided tour with Sydney Harbour Kayaks you can book here. 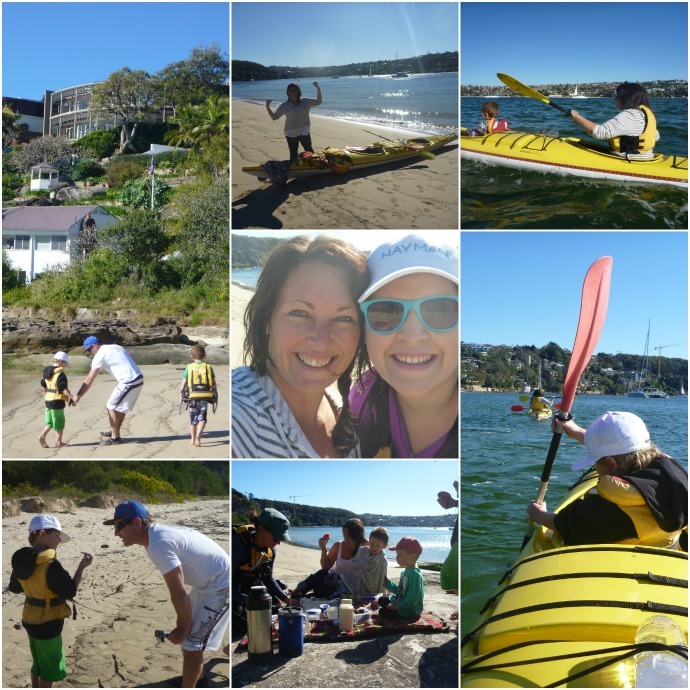 A big thanks to Danni, Steve and Aiden for sharing this adventure with us and to my kids for not tipping me into the harbour like I was sure they would. Next up Danni shows me the town and in particular somewhere locally famous and fabulous to her. 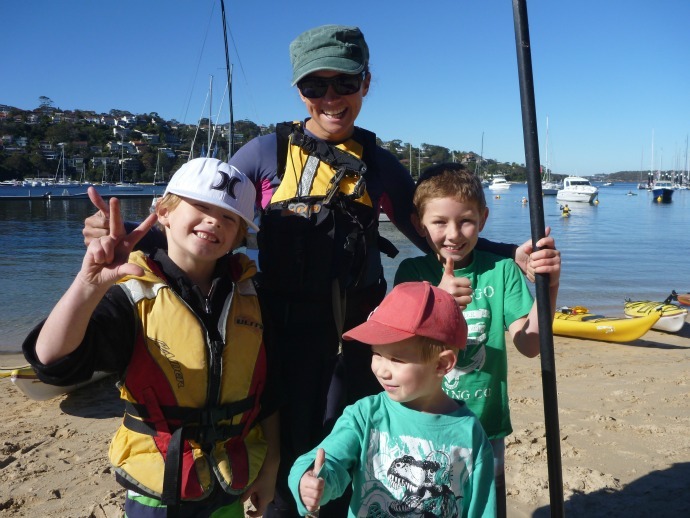 The fabulous gang at MasterCard Priceless Sydney and Sydney Harbour Kayaks are giving one lucky winner a chance to win your own private kayaking tour (maximum 6 people). To enter please leave me a comment telling me about something you have always said “one day I will do” but haven’t yet done. *This is a game of Skill and the winner will be chosen based on their creativity. •This offer cannot be used in conjunction with any other promotion or any other voucher. *The Winner will be contacted by email and will have 7 days to claim their prize. In the event that the prize is not claimed in time, a new winner will be chosen.